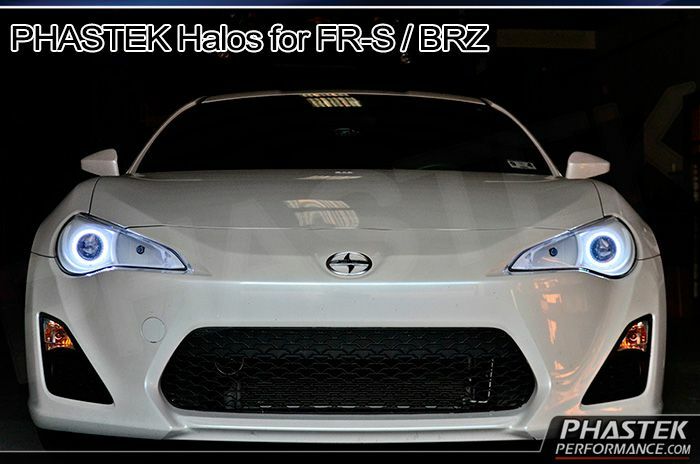 The Phastek Halo Kit adds bright halos to your headlights on your Scion FR-S. Grab more attention with this unique mod! Add a remote to help find your car at night or for that extra "wow factor". Note that the included switch can only be used to turn them on or off and have no strobing capabilities. If you desire more functionality choose the wireless remote or check out the dual color and ColorSHIFT kit. 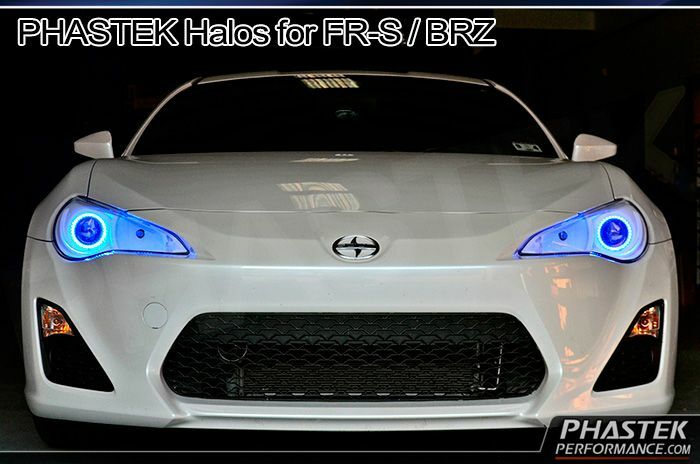 These halos have double the number of LEDs on average vs cheap imitations. Now Available in RED, BLUE, GREEN, AMBER, PINK, U/V Purple, and WHITE. 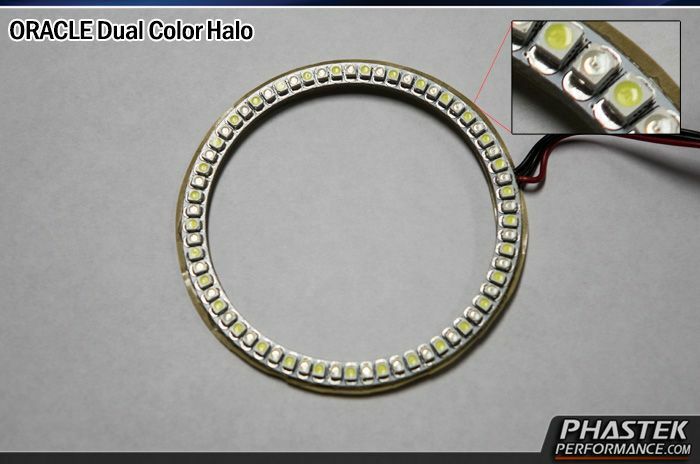 The pictures below are from a dual color halo setup. The single color has the potential to be brighter due to it having double the density. 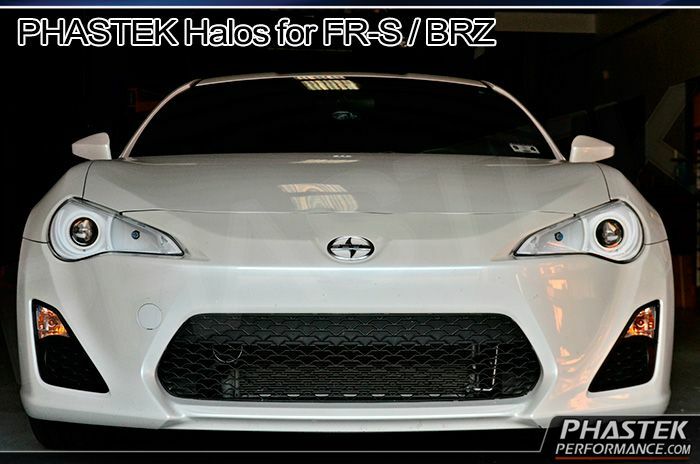 Kit includes everything you need to add the Phastek halos to your existing lights. Note that this is not a complete replacement headlight. 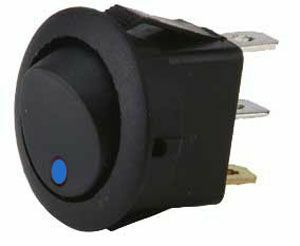 These Super-Clean flush buttons allow you to add a switch to your vehicles interior without compromising your automotive style. 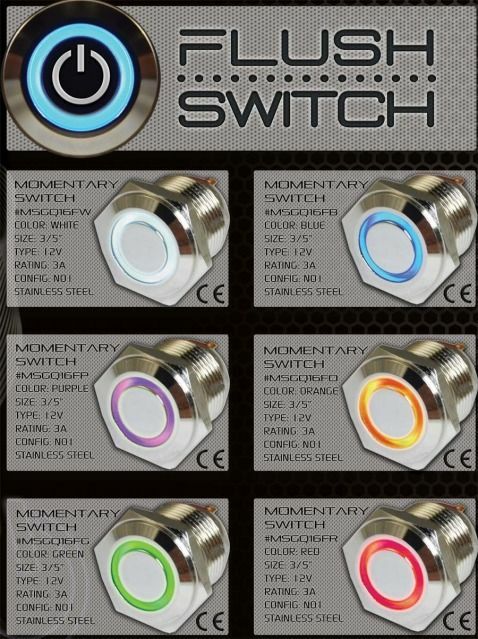 Available in a variety of colors these LED illuminated buttons feature a glowing ring to indicate power function. Heavy-Duty brass assembly has a durable nickel-plated finish. The metal housings have a definitive "click" you can feel when engaged. Mechanical Lifetime is tested at over 200,000 fail-free duty cycles! This 18mm switch requires a 16mm mounting hole. 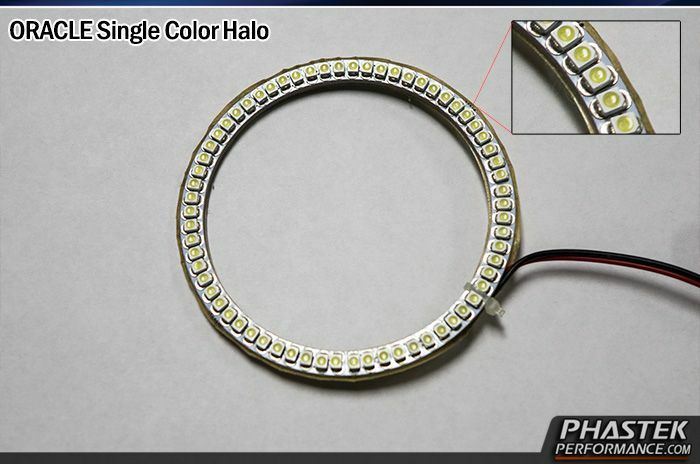 Keywords: Halo Angel Eyes Headlight Ring LED rings smd. This item is warrantied against manufacturer defects for a period of one year by Phastek Performance.